The Canada-based Modo Trio was formed in 1999 by trombonist Craig Brenan and bassist Jeff Johnson to explore a blend of African and Spanish music, along with the then burgeoning drum 'n' bass scene that was just reaching Canada. Drummer Bill George joined in 2003, and the group has been evolving ever since. Already heavily electronic courtesy of Johnson's electric bass and Brenan's unique use of a harmonizer, the trio is joined here by renowned multi-instrumentalist and producer Jamie Saft, who opens up its sound world considerably. Similar to trombonist Robin Eubanks' forays into electronic augmentation, Brenan's harmonizer brings an odd synth-like gauziness to his instrument's timbre. Add to that Saft's subtle background manipulations and eclectic support and you have the potential for a heavy, effects-laden session. 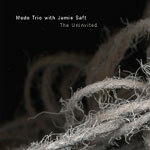 But Saft and the trio vary their palette, mixing in a few purely acoustic tunes with the funky electro numbers. The title track is completely acoustic; Brenan unplugs his harmonizer for a lyrical excursion, Johnson plays his upright with conviction, and Saft solos authoritatively on acoustic piano. Driven by George's lilting Latinized vamp, this is the album's most conventional tune. The rest of the album explores an electro-acoustic sound world that is equal parts edgy, drum 'n' bass-driven funk and ambient, electronic soundscapes. "Rocket Sauce" and "Bender" both feature especially outré solos from Jamie Saft on mini-Moog and Rhodes that are out of this world: sci-fi, pitch-bend insanity and distorted tonalities. Driven with surgical precision, "Furious" and "You Are Being Probed" live up to their namesakes with petulant, nervous energy. In contrast, "Solace" seems somewhat incongruous in this chilly postmodern setting. Unflinchingly beautiful, this glacially paced ballad invokes Ellington at his most sublime. Brenan's solo is warm, heartfelt and stunning in its economy. Equally unusual is the closer, "No Harm," a straight-up instrumental reggae tune complete with Saft's choppy, skank rhythm guitar. Buoyant and uplifting, with just a touch of bittersweet longing, it ends the album on a positive, optimistic note. Occasionally tender and lyrical, other times funky and brash, The Uninvited successfully integrates popular music strains with jazz improvisation in a wholly organic way. Visit the Modo Trio on the web. Track Listing: Dream # 8; The Uninvited; Rocket Sauce; Bender; Aurora; Furious; Octothorpe; Solace; You Are Being Probed; No Harm. Personnel: Craig Brenan: trombone with five-voice harmonizer and loop device; Jeff Johnson: acoustic and electric basses; Bill George: drums; Jamie Saft: piano, Rhodes, mini Moog, guitar.